In the 1961 Disney classic The Absent-Minded Professor, a chemistry professor is so pre-occupied with his work that he forgets to show up to his own wedding. His reward is a scientific discovery he dubs Flubber - a rubber-like super-bouncy substance that gives lift to a basketball team, makes a Model T fly over Washington, D.C., and saves the college where he teaches from financial ruin. These days you can make your own Flubber substance from a mixture of water, glue and Borax, but it will be a far cry from its Hollywood namesake. From time to time in our industry we see products that make us go ooh and ah. While bankers have not yet invented something to make the branch fly like Flubber, many interesting innovations are happening in the industry. Alas, the coolness factor should not be the ultimate test of what constitutes a useful innovation. Take wearables for instance. As you're probably aware, wearable technology is an up-and-coming way for people to monitor their health, capture video footage and even make payments and do their banking. As wearable devices like the Apple Watch gain traction with consumers, banks have been exploring ways to tap into the technology and make it work for their customers. But it's not a foregone conclusion that customers actually want to do their banking via a device that's tethered to their body. People are certainly more circumspect, given how sales of Apple Watch have been progressing since the product's April launch. Consider that despite all the initial fanfare, the magic has faded with time. Sales of the watch have reportedly plunged 90% since the opening week, according to a July report from Slice Intelligence. Apple has apparently been selling fewer than 20,000 watches a day in the US since the initial sales flood, and on some days fewer than 10,000. Back in April, Apple sold about 1.5mm watches, or an average of about 200,000 a day, Slice estimates. Then there's Barclays Bank's new cashless payment system that as of now is only available to those with a UK-registered Visa or MasterCard debit or credit card. The BPAY system as it is known, includes a choice of three payment devices: a wristband, a key ring fob or a sticker that can pretty much turn any phone (whether it's smart or not) into a cashless payment device. We'll be watching with interest to gauge the reception these products get from consumers across the Atlantic. 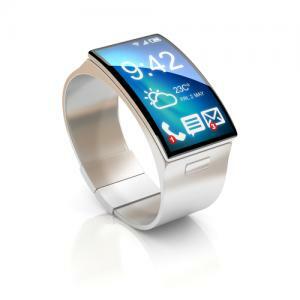 There are also various types of smart rings on the market and more are expected to become available in the coming months. But so far these rings aren't meant to be used for payments and it remains to be seen whether hardware limitations can be overcome. Keep in mind that not every wearable will be around for the long haul, no matter how cool they sound at first. Several years ago, banks rolled out apps for Google Glass since it seemed to hold a lot of promise early on. But a few months ago the tech giant announced it would stop producing the current prototype and release a new version when it's ready. So there's that. Certainly, it's early in the game for wearables, but it may turn out that the idea of using these products for banking is more appealing than the reality. We're not saying that banks shouldn't keep the idea of wearables tucked in the back of their mind, but we also don't advocate trying to keep up with every new device that comes to market. Sometimes ideas will be as ingenious and marketable as the fictional Flubber, while others will simply be colossal flops. We will all have to see in the coming years. Treasury yields dropped 3 to 5bps and stock prices tanked as the rout in oil prices and other commodities continued. Factory orders will be released, but all eyes will be on oil and commodity prices. 1) The Farmers & Merchants Bank ($670mm, AR) will acquire The Bank of Fayetteville ($348mm, AR) for an undisclosed sum. 2) ESSA Bank & Trust ($1.6B, PA) will acquire Eagle National Bank ($182mm, PA) for $25.3mm in cash or about 1.09x tangible book. 3) Equity Bank ($1.2B, KS) will acquire First Federal Savings and Loan Association of Independence ($138mm, KS) for an undisclosed sum. 4) Portage County Bank ($87mm, WI) will acquire Bancroft State Bank ($70mm, WI) for an undisclosed sum. 5) Glacier Bank ($8.5B, MT) will acquire Canon National Bank ($251mm, CO) for $31.8mm in cash and stock. 6) Banco Bradesco SA (Brazil) will acquire HSBC Bank's Brazil unit for about $5.2B in cash or about 1.8x tangible book. After being closed for 5 weeks, the Greek stock market finally opened yesterday and was hit by ugly selling pressure. Bank stocks tanked 30% to the maximum level allowed by the stock exchange, while the overall stock market fell about 17%. It sure seems like the games played by the Greek government to get European nations to prop them up without taking any hits has crushed their economy (stocks are now down 85% in value since 2007). The New York Times reports the Federal Reserve has declined an application by a credit union to open a master account for state-licensed marijuana businesses in Colorado. The conflict continues to be that while some states have legalized recreational marijuana, it remains illegal at the federal level. Cyber security firm Zimperium warns vulnerability in Android phones (and tablets) allows hackers to take control by simply sending one text message that does not even need to be loaded by the recipient. Hackers can remove any signs they were there and perhaps even scarier, Android phones are the world's most popular operating system. Google has sent out a fix, so we suggest all bankers load it to correct this issue. NY banking supervisor Lawsky said he expects bank regulators will increase actions to make banks upgrade cyber security given increased risk and frequency of hacking activities.